I’m sure you’ve all heard of atmos. They’ve been working with Nike on some of the most memorable releases since 2001; from their immortalised ‘Elephant’ print to the wonderfully wild ‘Safari’, their eye-catching releases have quite rightly earned a venerable reputation among the sneaker elite. 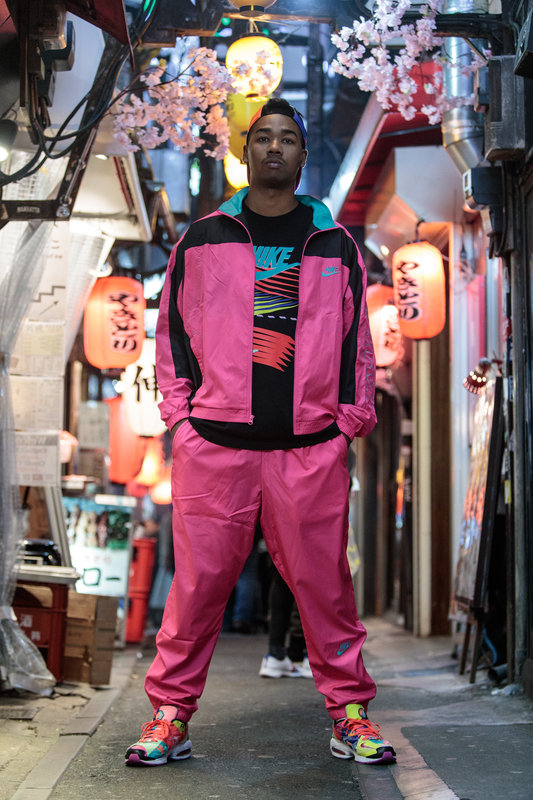 Building on their collaborative back catalogue, this spring atmos and Nike connect once again for a collection which stands apart from all their former releases. 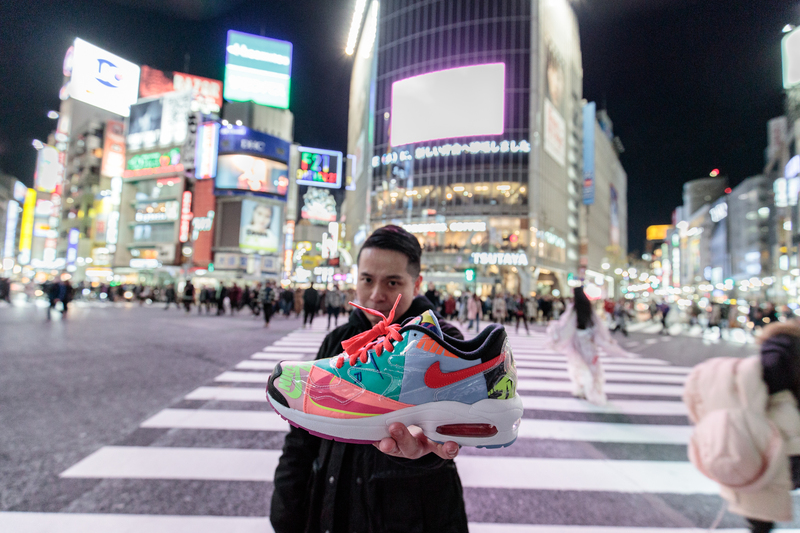 Ahead of the collection’s highly anticipated release, we caught up with atmos’ Creative Director, Hirofumi Kojima, for a size? exclusive photoshop around Tokyo, as well as an interview which delved into the collection’s inspiration and features. The collection’s loud colourways and designs were inspired by the bold, vivid colourways of ‘90s Nike apparel and old magazine ads. A lot of the designs were actually based on old scrapbook he used to keep – which allowed Koji to blend his inspiration and experiences into each silhouette. 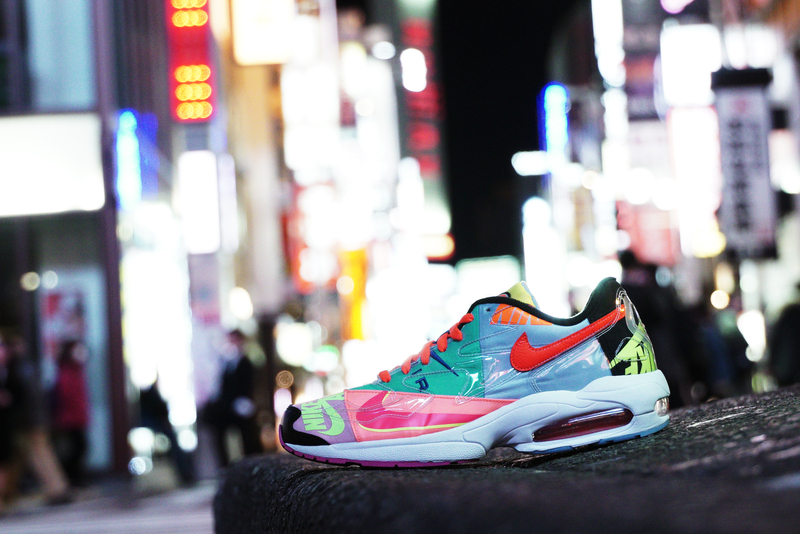 This collaged inspiration is there for all to see on Koji’s rendition of the Air Max2 Light. The 1994 runner utilises an aggressive combination of colour, as 12 vintage patchworks from Nike’s ‘90s apparel catalogue are plastered onto the shoe’s uppers. The shoe is also kitted out with quirky screen printing, pronounced stitching, asymmetrical stitching and jagged overlays for an aesthetic which is loud and distinctly ‘atmos’. Another nice touch: laces are also available in orange, yellow or purple, allowing you to customise the style. Joining the flamboyant shoe, the capsule also arrives with a selection of retro-inspired apparel. Once again channelling a strong ‘90s edge, the Patchwork track jacket – available in a black or pink base – comes decorated with flashy colour blocking and exaggerated branding to the sleeve. There’s also a white and black pure cotton tee, striated with colourful lines and printed with pink branding to the chest. The Nike x atmos collection will be available on Friday 5th April, via the size? previews app and in size? stores.